Experience major highlights of Moscow & St. Petersburg and add a pinch of ancient Russian history on our extended small group tour of Russian capitals and Golden Ring towns, often referred to as the Russian Vatican. Guaranteed departures, executive airport transfers, Russian visa processing, best central 5-star hotels, and rich sightseeing tours with local pros in groups of 14 people max. Following breakfast, you meet your guide-driver in the hotel lobby and enjoy a sightseeing tour of Suzdal known as a city-museum of the Golden Ring. Suzdal boasts its large number of preserved historical monuments of ancient Russian art and architecture. Following breakfast, you check out from your hotel and enjoy discovering one of the most interesting sites in Moscow hidden deep beneath the surface - the Moscow Subway. You have a quick subway ride to taste local life and enjoy the splendid decorations of its stations. 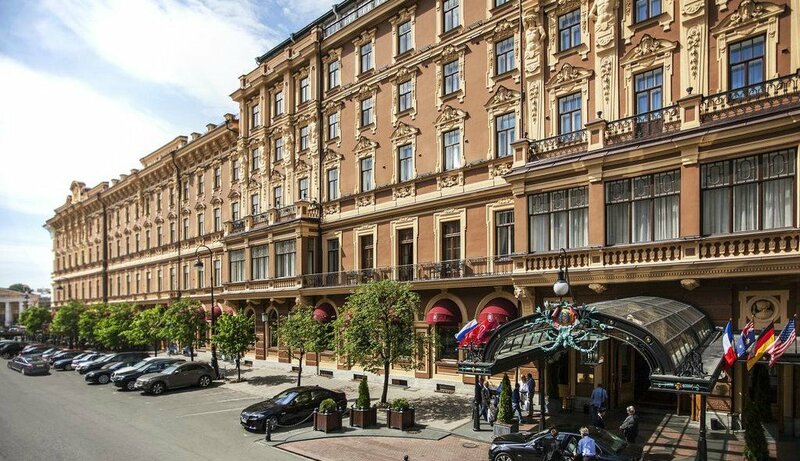 After breakfast you meet your guide at the hotel lobby and go on an amazing panoramic city tour around the most cherished gems of St. Petersburg, including Palace Square, the Hermitage Museum, the Mariinsky Theater, Nevsky Prospect and many other popular attractions. Today you explore the legendary Hermitage Museum that houses its unique collection of world art, including the masterpieces of Leonardo da Vinci and El Greco in the halls of the Winter Palace. After breakfast you head for Pushkin (Tsarskoye Selo) to explore the brilliant Catherine's Palace - a striking example of baroque architecture gifted by Peter the Great to his wife. You start by visiting the colorful St. Basil's Cathedral, then observe the spectacular Cathedral of Christ the Savior and learn the story of its destruction and reconstruction, and enjoy one of the best city views at Sparrow Hills. Later you pay a visit to the world-famous treasure trove of the Russian fine art, the Tretyakov Gallery, where you have amazing time viewing the gems of its collection, including the famous masterpieces of Ivan Aivazovsky, Mikhail Vrubel, and Viktor Vasnetsov. In the evening you board the Radisson boat and set off on the amazing 2,5-hour Night cruise to see stunning Moscow from the waterside. This day is dedicated to the exploration of one of the most outstanding Moscow icons - the fancy Red Square and the Kremlin. In the evening you enjoy a fascinating Folk Show at the Nikolaevsky Palace. After the show you are transferred back to your hotel for overnight. Following breakfast you meet your guide at the hotel lobby and go to the legendary Hermitage Museum to see its unique collection of world art. During the tour you visit the halls of the Winter Palace to explore the main collection of the Hermitage, including the masterpieces of Leonardo da Vinci, Rembrandt, El Greco, Francisco Goya and Thomas Gainsborough, as well as the General Staff building and the famous Diamond Room that contains the unique collection of priceless gems belonging to the Romanov family. The highlight of the tour is a unique hydrofoil ride back to St. Petersburg. Upon arrival you enjoy lunch and your guide takes you to one of the most beautiful palaces in St. Petersburg - the Shuvalov Palace located on the Fontanka River to show you the world's largest collection of works by Carl Fabergé, including nine of the famous Imperial Easter Eggs, regarded not only as the finest jeweled works of art, but also as unique historical artifacts. After the tour you return to your hotel in St. Petersburg and have the rest of the day free. In the evening you enjoy Farewell dinner in a company of your guide and fellow travelers.